The musical film’s soundtrack has continued its winning streak and scored a 27th non-consecutive week at the top of the charts. The popular Beatles album has spent a total of 28 weeks at the top of the charts since its release in 1967, according to the Official Charts Company. 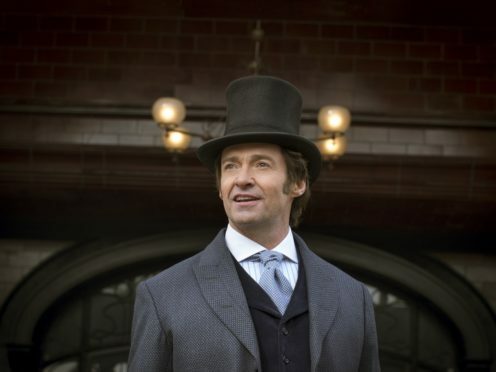 The Greatest Showman, which this week notched up more than double the combined sales of its closest competitor, was the biggest-selling album of 2018, and was the first number one album of 2019. 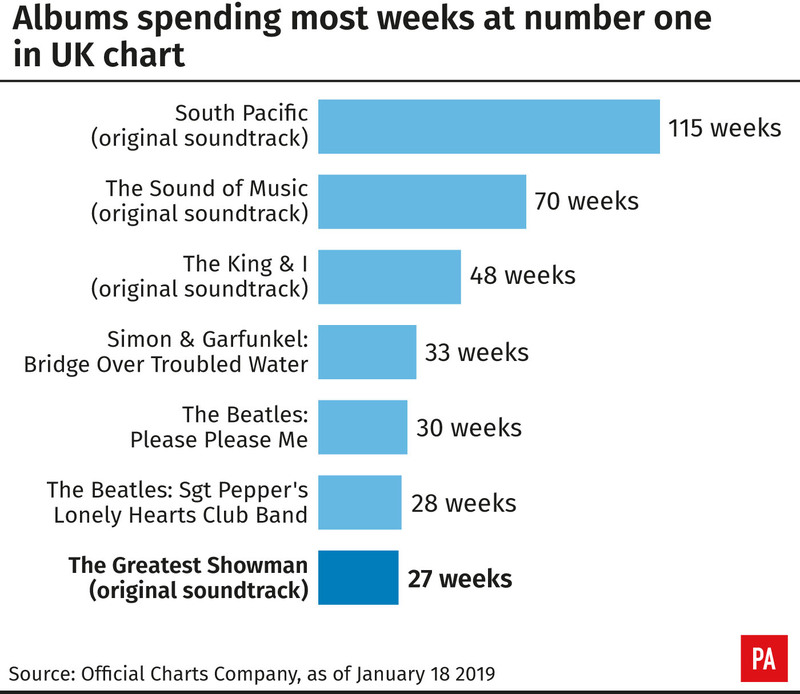 If the cast recording, which includes vocals from actors Hugh Jackman, Michelle Williams and Zac Efron, continues to dominate the number one spot, it would overtake the success of Sgt Pepper’s Lonely Hearts Club Band. It could also go on to take over the Beatles’ Please Please Me album, which spent 30 weeks at the top of the charts overall. This week’s number two is Staying At Tamara’s by George Ezra, the soundtracks for Bohemian Rhapsody and A Star Is Born are at number three and four respectively, and Jess Glynne’s Always In Between rounds off the top five. Over on the singles chart, US pop star Ava Max has celebrated her fourth consecutive week at number one with her breakout song Sweet But Psycho. The song racked up eight million streams and 12,000 downloads over the past seven days, finishing 30,000 combined sales ahead of the number two single, Nothing Breaks Like A Heart by Miley Cyrus and Mark Ronson. Max told OfficialCharts.com: “We are number one in the UK! I can’t believe I’m saying it, and I can’t believe I’m even holding this award! US rapper Post Malone is at number three, ahead of this week’s highest new entry Dancing With A Stranger, the new track by Sam Smith and Fifth Harmony’s Normani. Sunflower, also by Post Malone and featuring Swae Lee, is at number five on the singles chart.